iBerry has officially launched the Auxus Nuclea N2. 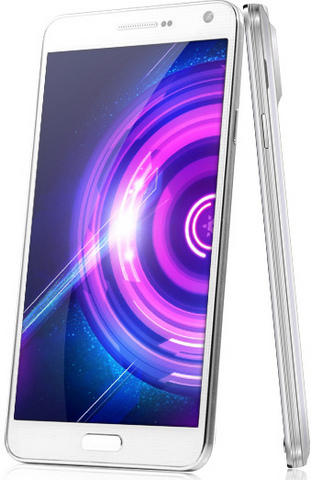 The Iberry Auxus Nuclea N2 is company’s first OCTA CORE powered smartphone. It will compete with Intex Aqua Octa, that was launched recently. It comes with 5.7 inch Full HD IPS display and 1.7 GHz 8 core processor based on Mediatek MT6592 chip. The Nuclea N 2 runs on Android 4.2.2 and can be upgradeable to higher version via OTA. It packs with a 13MP primary shooter and has Mali 400 MP4 GPU to make the gaming performance better and smooth. The handset is capable of recording FHD videos and comes with 2gigs of RAM. It also features wireless charging, that make it more fancy in terms of today’s smartphones. The iBerry Auxus Nuclea N2 is priced at RS 19,990 and regular price is RS 23,990. It is already on pre order for RS19990, which makes it perfect competitor for Intex Aqua OCTA and Micromax A350 ( rumor).